In Nigeria, children with disabilities are considered an anathema, like a bad and unwelcome secret. So when a visiting friend asked Rose Mordi this question, she was not surprised. In fact, by this time she had become accustomed to the inappropriate stares and questions that came when people noticed her daughter, Awele. Awele was born in 1987 with Down Syndrome. She is the youngest of Rose’s four children. Rose Mordi (right) with her daughter, Awele. In Nigerian culture, some believe that children with Down Syndrome are a curse, or the result of some kind of punishment from the supernatural. For that reason, some people hide their children with disabilities. This was one thing Rose Mordi was determined her beautiful baby daughter would not be—a secret. After getting over the initial shock of discovering her new baby had Down Syndrome, Rose went on to learn everything she could about the disorder. The plan was to give her child all the love her heart could muster. 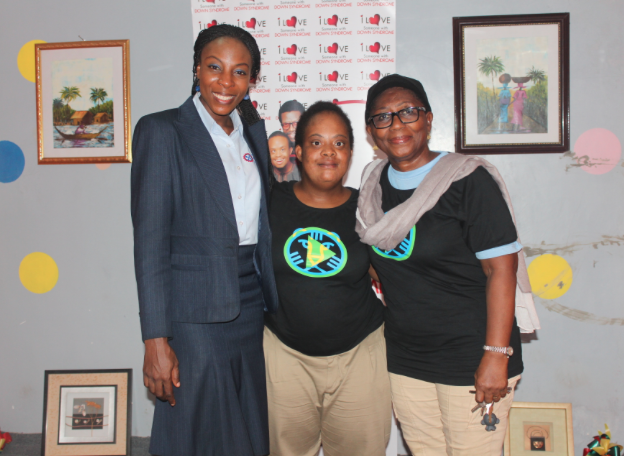 Awele and Rose Mordi (center and right) preparing for an awareness walk in 2015. For her, learning everything involved attending the International Down Syndrome convention every year. 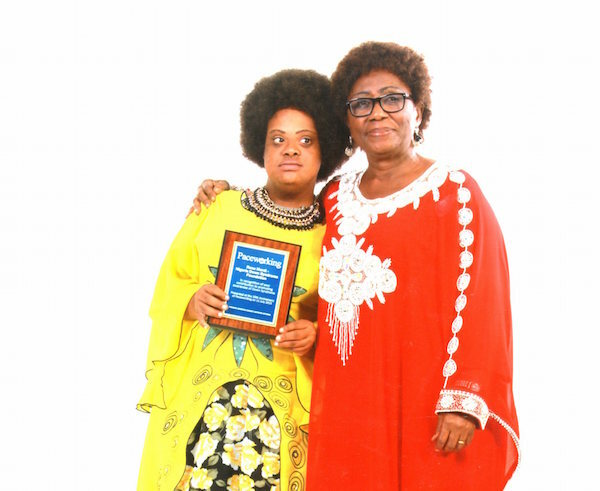 After the convention in 1998, Rose decided to set up her home as a sanctuary for other families with children with Down Syndrome in Nigeria—the first of its kind in West Africa. But this decision did not come easily, as she was running her business full time. She was also nursing her husband, who had fallen into a diabetic coma after Awele was born and needed full-time home care. 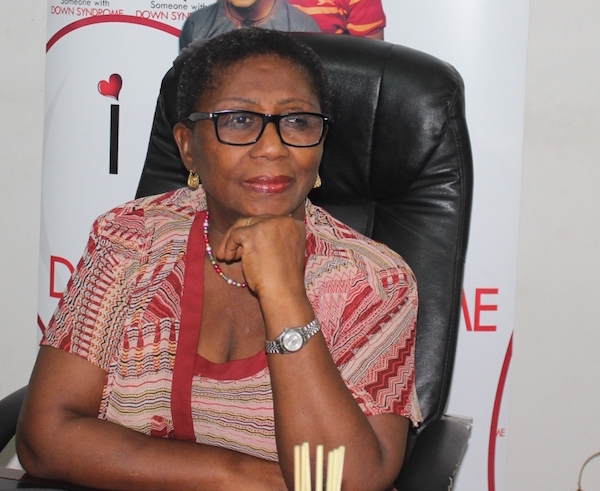 Rose Mordi in her office. She ran the organisation of out of her living room for two years, providing counseling services to families and resources materials. She provided help to families who were struggling with everything that came with raising a child with Down Syndrome. She found it was easier for people to accept help from her because she was walking in those shoes with them. She emphasised to parents that children with Down Syndrome thrive on love, and families have to be hands-on. 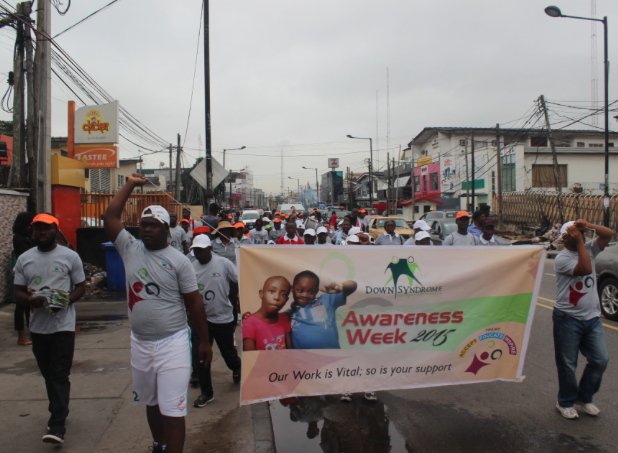 Students of the DSFN center at the 2015 Awareness Walk. Financing and deeply entrenched cultural miseducation remains a stumbling block for Rose and the foundation, but she isn’t going to stop the work in spite of the odds: Her entire life is dedicated not just to helping her own family, but making the biggest difference she possibly can to the world around her. Sign our open letter now and join the influential figures standing up for girls and women.